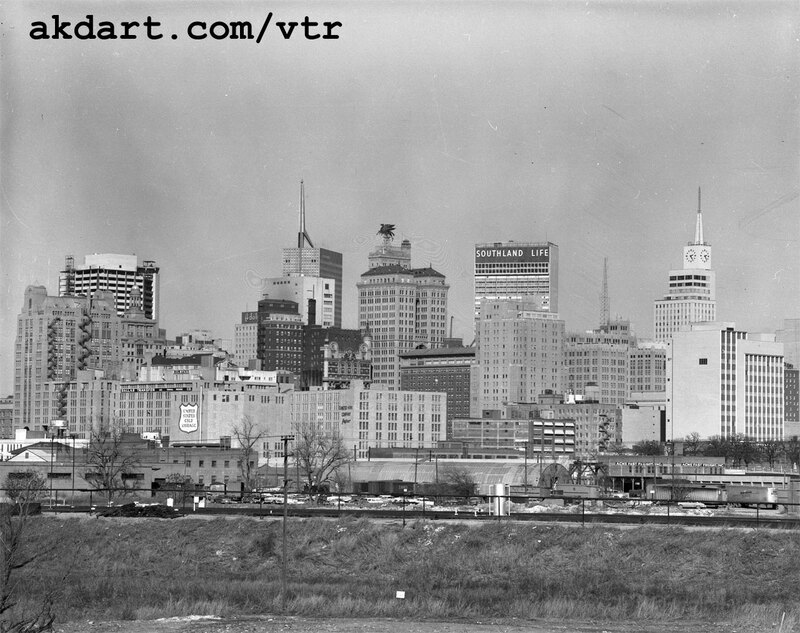 The Dallas skyline is always changing, and it’s always been impressive. The late-’50s/early-’60s version above looks quaint by today’s standards, but it’s one of my favorite skyline periods. I’ve never been a huge fan of the Convention Center, but the rest of it? Pretty great. 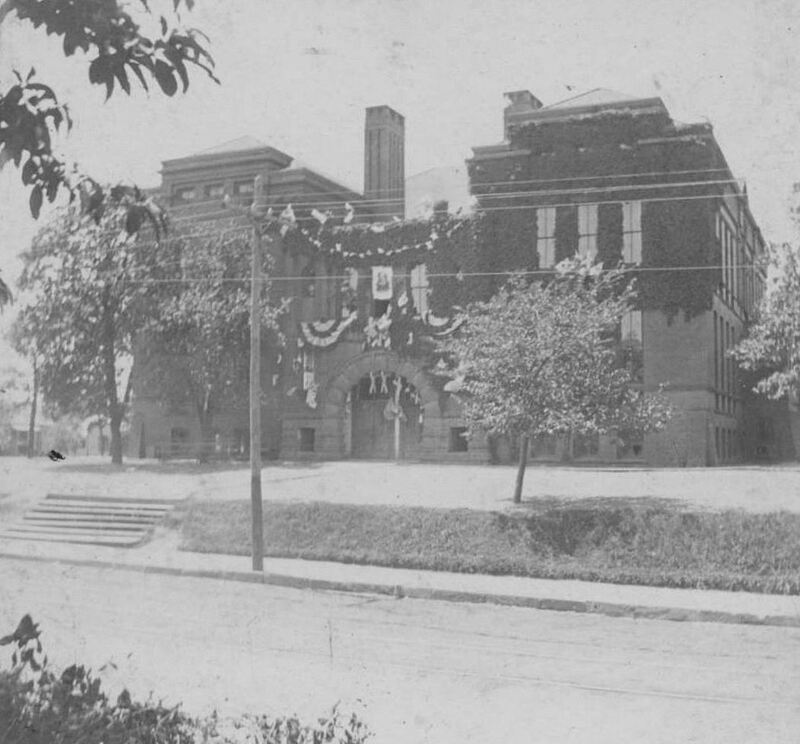 In order to make way for the George Dahl-designed Dallas Memorial Auditorium/Dallas Convention Center (which opened in 1957), the old Columbian School/Royal Street School (built in 1893) was demolished. At the time of its razing, it had most recently served as the city’s school administration building and as a book warehouse. 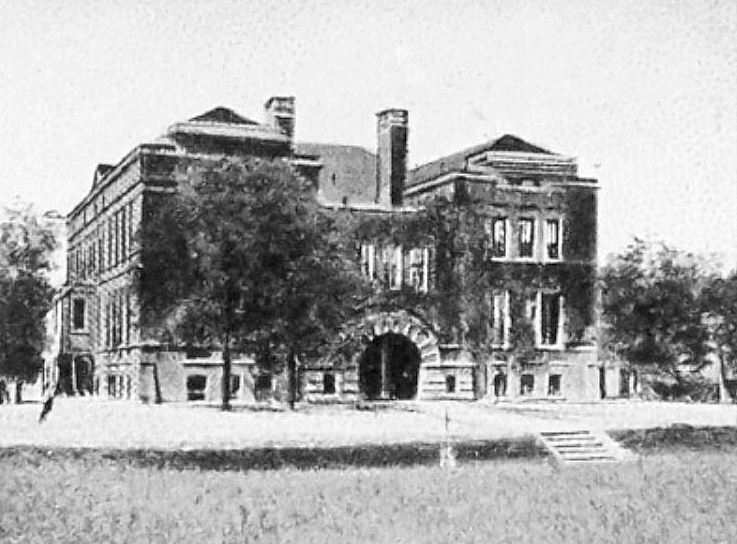 Here are a couple of photos of the school, long before the bulldozers arrived. Also interesting was that this land — which the city had been buying up for many years (some as a result of condemnation/eminent domain) also included four pioneer cemeteries. Read more about what happened to those cemeteries here. Top photo is from a site containing several photos relating to early KRLD radio and TV, with the occasional shot of Dallas streets and buildings, here. Other sources, if known, are noted. Great story and that is the skyline I remember growing up in the 1950’s. The date of that photo is around 1959. No tower behind the Republic National Bank bldg. Has to be ’62 at the latest.